The charter candidate information has been organized in a table with links to the candidates’ submissions to RaytownOnline.com and their answers to the questionnaire RaytownOnline.com emailed them. Not all candidates have responded; consequently, the table has many blank areas that hopefully will be filled in by election day. Due to time constraints and the amount of effort this article has taken and will take, and the fact that some of the candidates will never respond, it will be published now and updated if and when RaytownOnline receives more responses. Raytown voters and Raytown School District voters will have choices to make on Tuesday, April 8th. 1. Does Raytown renew the 1/2 cent sales tax that is earmarked for transportation purposes for a period of ten years? Yes: This one is the easiest choice to make. I have seen major improvement since this was passed. I can remember a street that was in total failure just two blocks from my home when I first moved to Raytown. I truly might have had second thoughts about buying my home if I had noticed this and other Raytown street conditions. Further, Raytown lags far behind our neighboring cities in providing sidewalks; many of our children wait for the school bus or walk to school in the street. 2. Does Raytown renew the 3/8 cent sales tax that is earmarked for capital improvements purposes for a period of ten years? Yes: This tax pays for the equipment needed to provide services such as police, ambulance, and snow removal. Unlike many taxes, both these sales taxes are monitored by a citizen oversight committee that insures the tax money is spent in the manner that the voters approved. Without these revenues, the Raytown would have to dip into general funds and the money is not there. 3. Do we create a commission to frame (write) a charter (like a constitution for a city)? Yes: A charter would be good for the city, if it is a good charter. There is risk, however. We could get a commission that wastes time and taxpayer money to draft a charter that will not pass, or a charter that should not pass. Another risk would be a charter that sets the threshold for recall/initiative/referendum so low that Raytown might be drained of our tax money paying for elections for issues that have no real popular support. 4. Which 13 candidates out of a field of 22 shall frame this charter? RaytownOnline endorsements will be indicated by Y, N, or ?. Many of the candidates are not well known in the community, or did not respond to the request for information, so it is not possible for me to have an opinion on how well they will serve based on previous service in elected or volunteer positions. The key word in that last sentence is OPINION, as an endorsement from RaytownOnline.com is actually only my personal opinion, based on years of paying attention to the events that concern Raytown. You do not have to vote for all 13 positions. Voting for a candidate you know nothing about reduces the chance of candidates you want elected actually winning. Shall the Raytown School District be allowed to borrow $22 million dollars for the purpose of constructing, renovating, improving, furnishing and equipping school facilities of the District, including safety and security enhancements, roof replacements, lighting improvements, restrooms, plumbing, electrical and technology upgrades, and renovation and expansion of the existing Raytown South High School athletic facility and issue bonds for the payment thereof? Yes: About 85% of this bond issue is targeted at needed repairs and upgrade. Failure to make the repairs would results in greater costs in the future. Failure to upgrade school security could result in a disaster. The expenditure to on a football field at Raytown South is not a high priority item and I would prefer that money was spent building a swimming facility to replace the loss of the YMCA pool. The bond issue addresses a multitude of needs and it is surprising that most of them deserve to be funded. 85% is a remarkably high percentage. Click HERE to see the Election Board ballot for the Raytown City election. 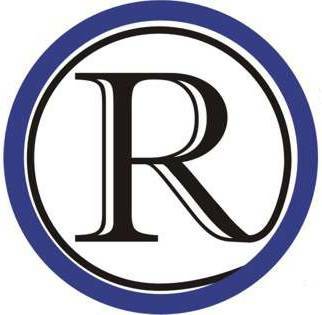 Click HERE to see the Election Board ballot for the Raytown School District election.